Simple and easy Hong Kong Style Instant Pot Chicken Congee is such a comforting dish on a cold day–or really any day at all. A few simple ingredients in your pressure cooker and you have a jook recipe that you can personalize and vary to your heart’s content. Every culture has its own version of soft rice dishes that serve as comfort food. 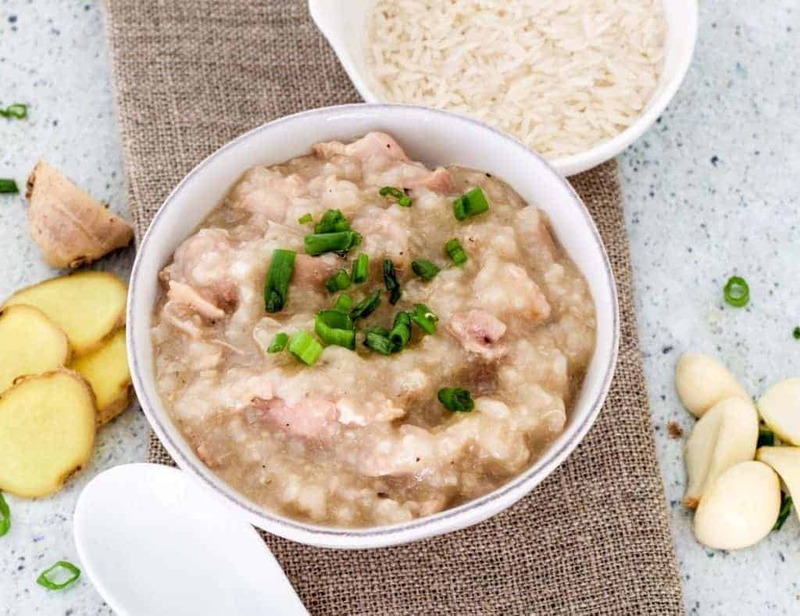 Whether it is an Indian Khichadi Filipino Arroz Caldo, Vietnamese Chao Ga, Korean dakjuk, Cambodian Babaw, or Chinese Chicken Congee, nothing beats what really amounts to overcooked rice with savories. 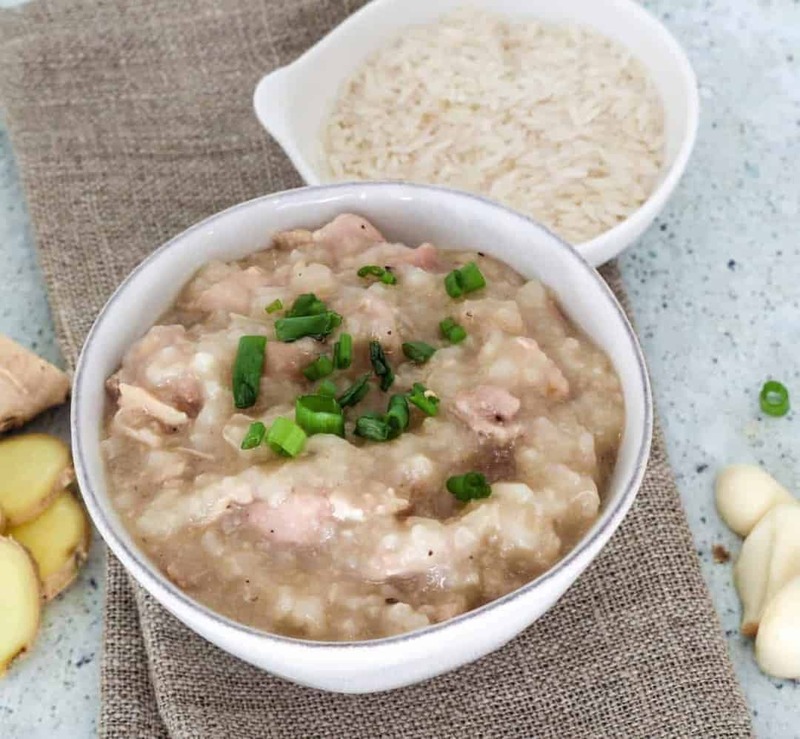 Also known as Jook, it’s a savory porridge with rice that has been well-cooked–Okay let’s be honest, it’s been overcooked–with lots of water. It serves as a blank canvas upon which you can paint with all the savory flavors of your choice. When I started with this recipe, I didn’t consult any sources. I was sick, and I decided to put things in a pot that sounded good, and that would feel comforting, and just made it. I then posted in my Facebook Group to ask members what we should call it. Everyone agreed it was Chicken Congee, but one of my readers Frances who is a fantastic cook, said it was very much like a Hong Kong style Chinese Chicken Congee, so that’s what we are going with. She also suggested we call it Smooth as Jazz Chicken Congee, which I really like! While it is traditionally eaten as a breakfast food or food for the sick, I see no reason to wait until I’m sick before I make this Instant Pot Chicken Congee again! 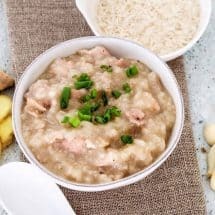 HOW TO MAKE INSTANT POT CHICKEN CONGEE? My version involves throwing everything into your Instant Pot or pressure cooker, pressing the Porridge button, and walking away. If you don’t have a Porridge button on your pressure cooker, cook it on high pressure for 20 minutes. Simple and easy Hong Kong Style Instant Pot Chicken Congee is such a comforting dish on a cold day--or really any day at all. A few simple ingredients in your pressure cooker and you have a jook recipe that you can personalize and vary to your heart's content. Place all ingredients in the inner liner of your pressure cooker or Instant Pot. Press the Porridge button. If you do not have a Porridge button on your pot, set the pressure cooker to cook for 20 minutes at high pressure. Let the pot sit undisturbed for 10 minutes after it is done cooking. Then release all remaining pressure. Mix well, add a little more sesame oil for fragrance if you desire, and serve. Would you increase cooking time if using bone in thighs? I am estimating that one would need 1.5 lbs of thighs to account for the weight of the bones, does that sound right to you? Can’t wait to make this! You are amazing. I can’t wait to make this congee for my family. Thankyou and keep me coming ! I have made Congee twice using this recipe. I added Bok choy and some carrots as well. It turned out great. 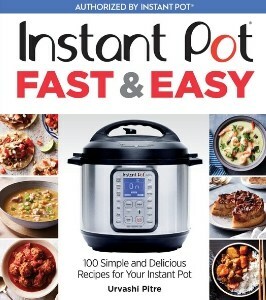 I have been using my Instant Pot almost every other day. So far, the only recipe that didn’t work well was the Indian rice pudding. I think I added less water, the whole thing dried up and hardened. Thank you for all your recipes and tips. i just made this and used jasmine brown rice. followed recipe and it was watery.